Planning a trip to Verona and starting to create your bucket list? Here is a quick guide to the best things to do in Verona, Italy. Verona in Italy – the city of love, medieval buildings, romantic alleys and delicious food will make you fall in love with its huge historical and artistic heritage. Among the most beautiful cities in Italy, Verona is often remembered for the sad story of Romeo and Juliet, which Shakespeare’s imagination had set in this wonderful location. In fact, Juliet’s house is one of the main points of interest in the city but the attractions list is pretty long. Keep reading to discover all of them! 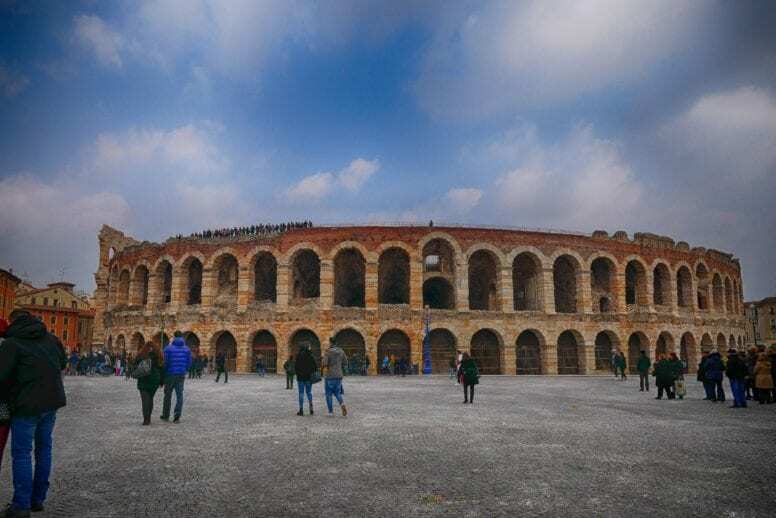 Visiting Arena is one of the most important things to do in Verona and the best way to start your itinerary. This beautiful roman amphitheater that’s been around for centuries is a real heart of the city and a perfect place to soak in the unique Italian culture and history. It was designed to fit 30,000 people while nowadays the capacity of Arena is around 15.000 people. The best time to visit the Verona Arena is in the morning when the place is still relatively quiet and the number of tourists low. There are many cultural performances held at the Arena Amphitheater to this day and if you book your tickets in advance you will be able to enjoy one of these fantastic events. During the summer, Arena hosts the famous opera festival where you can enjoy live music by some of the most renowned and talented artists. 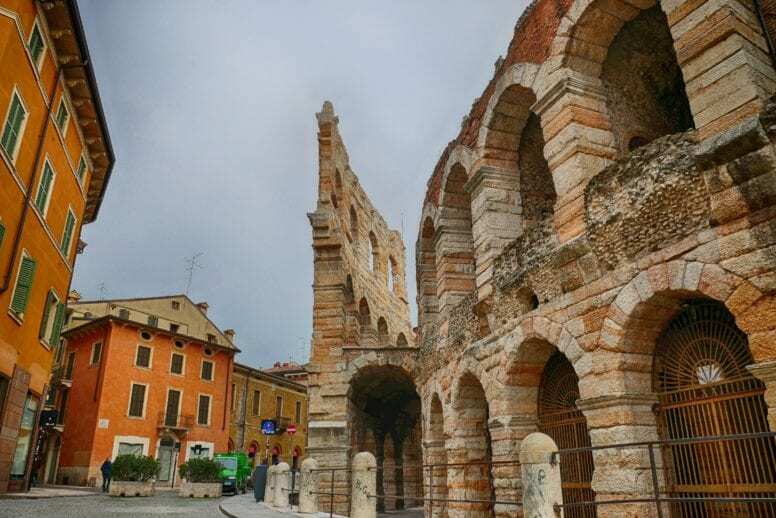 Arena di Verona is located in Piazza Bra – the most famous square of the city, so it’s only logical to explore it a bit more as soon as your tour of the amphitheater ends. Piazza Bra is filled with monuments and palaces, in fact, you’ll have a chance to admire the seventeenth-century Palazzo della Gran Guardia, which now hosts exhibitions and conferences, the nineteenth-century Palazzo Barbieri, and one of the oldest lapidary museums in Europe – Museo Lapidario Maffeiano. This famous square is also an excellent location for sitting down and simply enjoying a typical Italian espresso while soaking in the unique atmosphere and incredible scenery. The impressive medieval castle Castelvecchio together with its fortified bridge is a must-see on your Verona itinerary. The construction of the castle situated on the banks of the Adige River started in the 14th century but it underwent numerous reconstructions in the years that followed, losing its original architectural shape. In the years 1923-1926, the castle underwent thorough restoration work, giving it a medieval look. Currently, the castle is home to the Castelvecchio Museum. The castle has his own 120 meters long bridge – the Castel Vecchio Bridge that dates back to the 14th century and was reconstructed after the end of the II World War. Opening hours: every day 8.30 a.m.­ – 6.45 p.m. ­; Monday 1.30 p.m. ­- 6.45 p.m.
Verona Cathedral, from the 12th century, is the most important church in the city and a great example of the Romanesque style and architecture. The interior of this Cathedral is filled with calmness and spirituality and its unique ambiance will transport you straight to ancient times, centuries ago. The side chapels are enriched by numerous sculptures and art pieces, the most famous of them is the Assumption of the Virgin (1535) by Tiziano. When visiting Verona Cathedral you’ll also get to see the amazing bell tower (almost 75 meters tall), that, although not completed is an interesting point of interest. 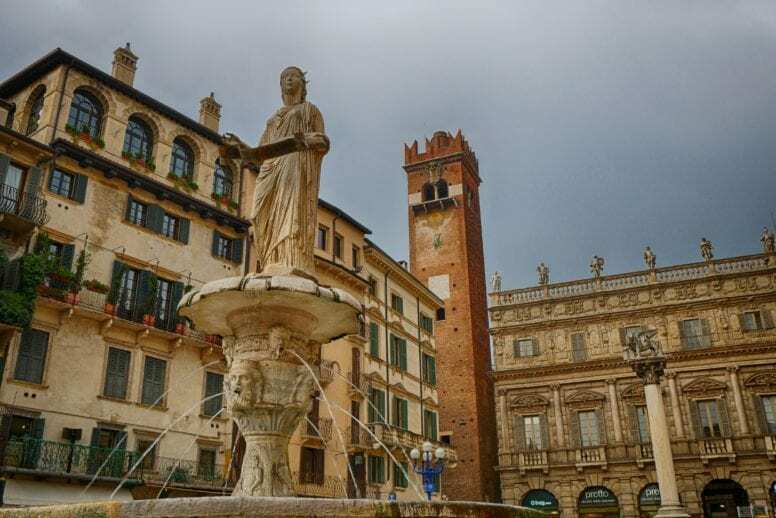 Piazza delle Erbe is one of the most charming locations in the city and a must-see on our list of the best things to do in Verona. Piazza delle Erbe is a picturesque square, just a few steps from Juliet’s house, far away from the traffic and filled to the brim with beautiful palaces decorated with breathtaking frescoes. When it comes to important monuments Piazza Erbe is home to the 14th-century fountain, the 84 meters high Torre dei Lamberti and to the historical palace Palazzo Maffei located right next to the tower. You’ll also notice the beautiful medieval edifice of Casa dei Mercanti. 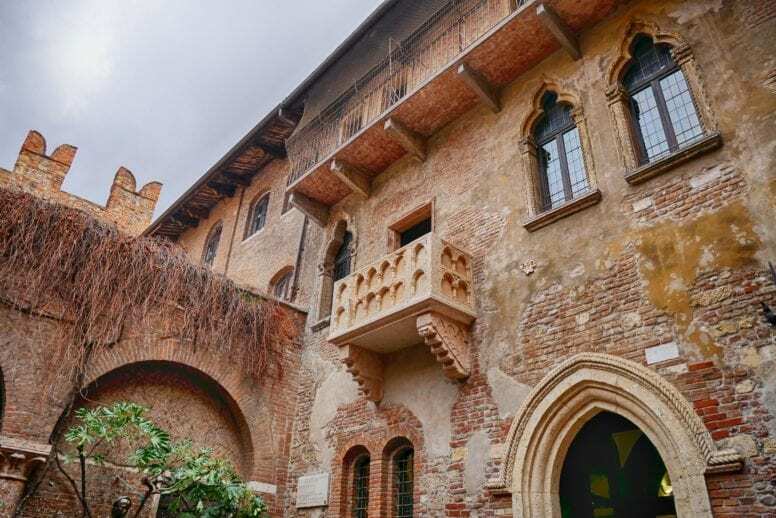 A short distance from Piazza Erbe lies the most famous house of Verona – Juliet’s House. It’s a medieval building where Juliet Capulet – the protagonist of Shakespeare’s “Romeo and Juliet”, supposedly lived. This place is one of the major attractions for tourists visiting Verona so it is always packed with people admiring the famous balcony and trying to take pictures. The passageway that leads to Juliet’s House is entirely covered with graffiti and love-themed notes left by romantic visitors from all over the world. 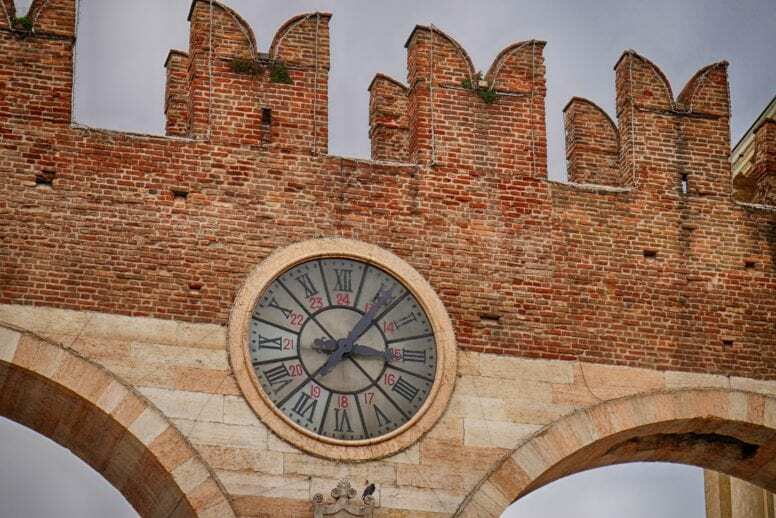 Opening Hours: Monday – 1.30 p.m. – 6.45 p.m. Tuesday till Sunday – 8.30 a.m. – 6.45 p.m.
Piazza dei Signori is a medieval square located in the historical center of Verona. There you’ll find numerous palaces of considerable historical and artistic importance, all of which interesting and incredibly photogenic. Piazza dei Signori is often called Piazza Dante and in fact, the monument of Dante Alighieri – one of the greatest Italian writers, is one of the first things you’ll notice when you get there. The statue, which is 3 meters high is made of Carrara marble and dates back to 1865. Other significant monuments are the 13th century Palazzo della Ragione, then right next to it the Palazzo di Cansignorio, Santa Maria Antica Church, Palazzo del Podestà and Loggia del Consiglio. 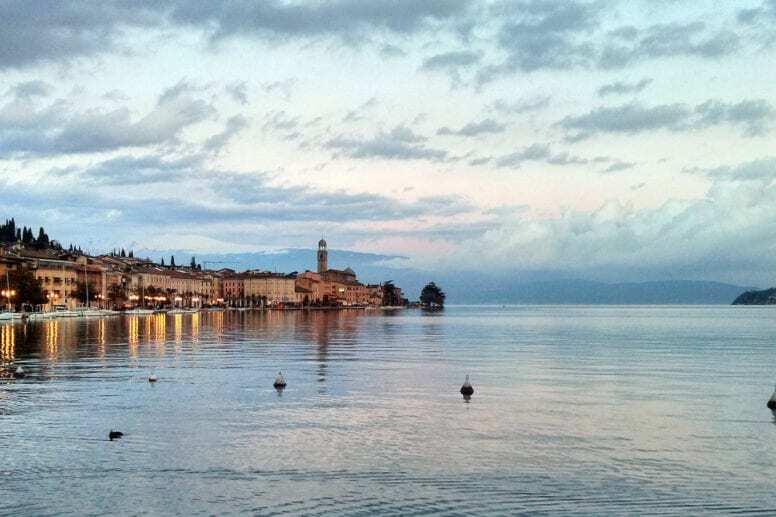 If you’re staying in Verona for a few days, a trip to Lake Garda – Italy’s largest lake is highly recommended. 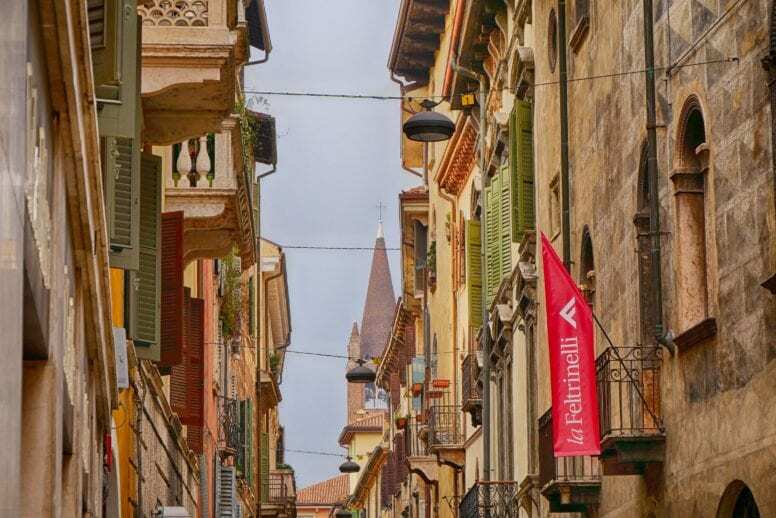 Many charming lakeside towns are located a short car drive (or a train trip) away from Verona and you’ll fall in love with the natural beauty of these places. You can take a relaxing walk around the lake, lay in the sun in one of the beaches or enjoy a delicious Italian lunch with a spectacular view – whatever you do, I’m sure you’ll have an amazing time. Another place directly linked to Shakespeare’s famous tragedy is the Basilica di San Zeno – a church where Romeo and Juliet go married. Dating back to the 4th century this basilica is an endless source of inspirations for art, architecture and history enthusiasts. No matter where you look, you’ll find numerous art pieces, centuries-old frescoes, statues of immeasurable value and much more. Veneto, just like any other region in Italy, has a strong culinary tradition which has been passed down through multiple generations. In fact, the choice of delicious local dishes is pretty wide and you have to try at least a few of them while visiting Verona. Some of the most unmissable options include the mouthwatering risotto tastasal, potato made gnocchi, lesso e pearà (boiled meat and vegetables served with a grated bread purée seasoned with plenty of pepper) and of course the authentic polenta infasola – especially recommended during the colder season. For a dessert treat yourself to the iconic Italian gelato or try the torta di puina – a typical Veronese cake with ricotta cheese. Of course, there are many other flavourful dishes available so depending on how many days you’re planning to stay in Verona, try tasting as many as possible. If you happen to visit Verona in February you’ll have a chance to experience the beauty of Verona Carnival. You’ll witness streets filled with parades, people dressed up in colorful costumes, live music and confetti. People from Verona and nearby towns wear elaborate masks and the joy and happiness are in the air. If you want to bring a special souvenir from your trip to Verona get one of the locally made Carnival masks. Every time you’ll look at it, it will bring back wonderful memories. One of the most interesting things to do in Verona is getting to see the ancient Roman theater from the 1st century BC. Only a few parts of the original theater are still available to admire but it’s definitely worth it. During the summer the Roman Theatre of Verona hosts numerous concerts by Italian and international artists as well as theater and dance performances. Joining one of these events is an unforgettable cultural experience and a perfect night out for anyone visiting Verona. Opening Hours: Monday 1.30 p.m. – 6.30 p.m. Tuesday – Sunday 8.30 a.m. – 6.30 p.m. So after you’ve seen Juliet’s House and the church where the two lovebirds got married you can’t leave the city without visiting Romeo’s House as well. This medieval structure which looks more like a small castle than an actual home can only be seen from the outside and contrary to Juliet’s House, no tours are available inside the building. The only way to get a glimpse of Romeo’s House is to get a table at the Osteria located on the ground floor of the structure. You’ll do lots of walking in Verona, going from one point of interest to another you’ll burn so many calories that you’ll definitely deserve a treat. And Italy plus treat equals only one thing and that is, of course, the mouth-watering, authentic Italian ice cream. 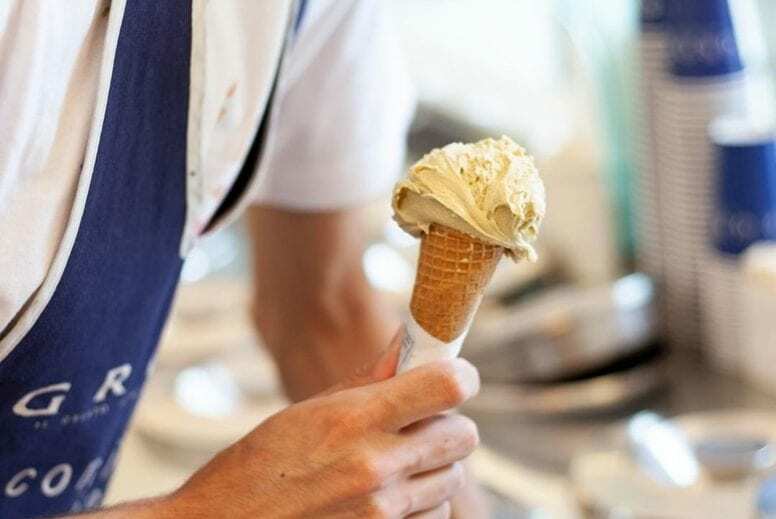 Grom is one of the best places to get gelato in Verona, they offer a selection of freshly made ice cream made of natural and high-quality ingredients. Opening Hours: Daily 11 a.m. – 10.30 p.m.
Travel tip: If you’re planning to visit more locations in Italy make sure to read our article about the best things to do in Lake Como, our guides to Lake Tovel and to Pavia and our recommendations regarding the best day trips from Milan as well. 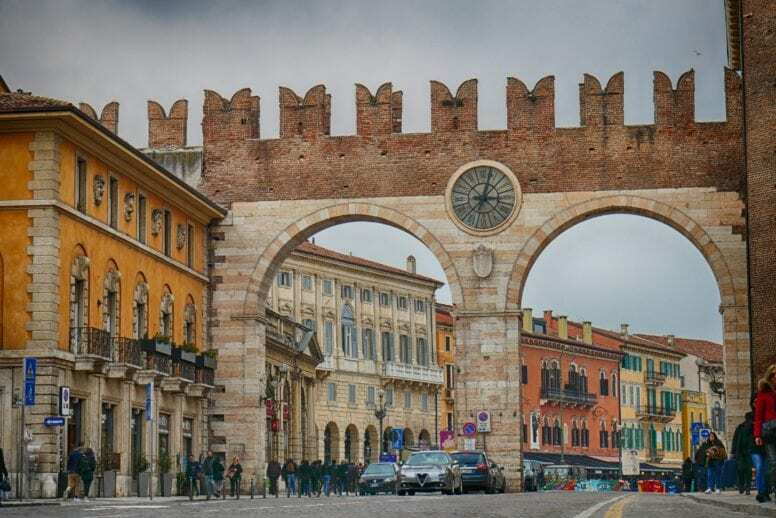 Verona is located in the region of Veneto in northeast Italy and can be reached in a fairly easy way from all the main Italian and European cities. There are also international flights available for those of you who plan to come by plane. 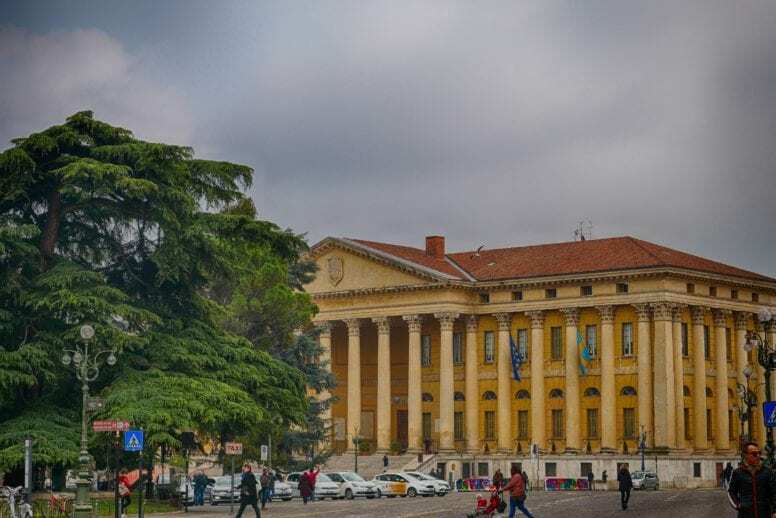 You can catch a flight to Verona as it has its very own airport – the Verona Villafranca Airport which is located only 6 miles away from the city center. For more options and international flights, you might want to check out the Venice Marco Polo Airport and Milan Malpensa Airport as well. 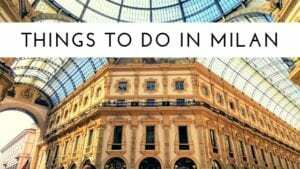 Tip: if you’re planning to visit Milan during your holiday in Italy, check out our guide about the best things to do in Milan as well. Using a train is another great and fast way to reach Verona. 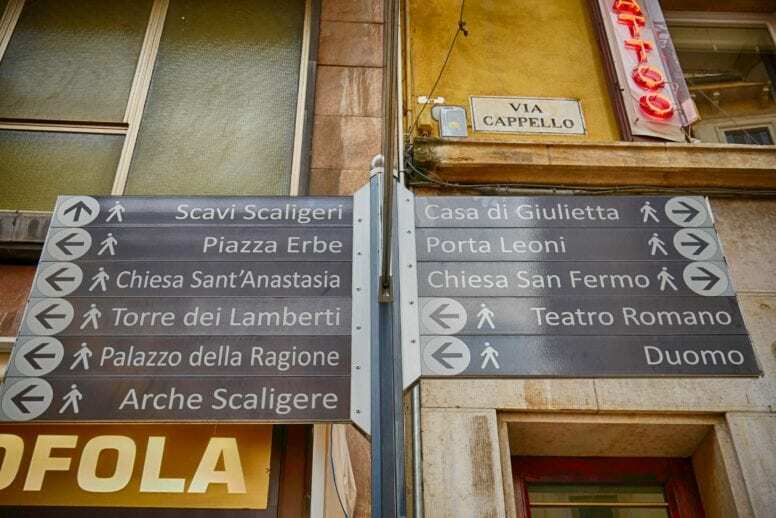 The city is well-connected with all the main Italian locations and you can buy your tickets directly at the train station or book online in advance. As an example, a journey from Milan to Verona will take between 1h 15m and 1h 50m while it will take a bit more than an hour to reach Venice from Bologna. If you’re traveling from Florence your trip will last around 2 hours. It’s best to pick the trains that stop at Porta Nuova, from there it’s just a quick taxi ride or a pleasant walk directly to the city center. Trenitalia provides frequent trains at affordable prices so I suggest checking their website when planning your trip. If you decide to come to Verona by car it is best to park it in one of the parking lots available nearby the historical center. Some of these include: Parking Arena in Via Bentegodi 8, Parcheggio Cittadella in Piazza Cittadella and Parking Italia in Corso Porta Nuova 91. There are also some parkings available that are free of charge: Parcheggio Piazzale Guardini and Parcheggi Stadio in Piazzale Olimpia. Also, when getting to Verona by car keep in mind that in order to reduce high-traffic and pollution the cars are not allowed in the historic center. Penalties or removal of the car might take place if you park or transit in the prohibited zones. If you’re wondering where to stay in Verona and what are the best hotels available check our picks and recommendations! Hotel Milano & SPA***S – this is a perfect solution for those who want to stay in Verona’s historic center with numerous points of interest located nearby. In fact, if you’re lucky you might actually see the Arena from your room’s window. The panoramic sun terrace with a hot tub is wonderful and ideal for relaxing after an entire day of intense sightseeing. Le Suite Di Giulietta – what a delightful hotel for all Shakespeare’s fans and not only! This hotel is located only a stone’s throw away from Juliet’s House and staying there will make you feel as if you were a part of the play yourself. Le Suite Di Giulietta will be a perfect hotel for couples as it is very romantic and quiet. Hotel Bologna – is another solution in the historic center and it features nice rooms and an on-site restaurant. Check out the suite with terrace and hot tub for exceptional accommodation, amazing views of the city and a private jacuzzi. Hotel Colomba d’Oro – this elegantly designed 4-star hotel offers quiet rooms in classic style, delicious breakfast, and free WiFi. Many important points of interest are located a short walking distance from this hotel. Ark Hotel – a 4-star hotel in a modern style offers comfortable rooms and a great breakfast. It is situated near the bus and train station but practical parking is available for those coming in by car as well. The staff is very friendly and willing to help with everything. All in all the Ark Hotel is a great place to stay while visiting Verona. 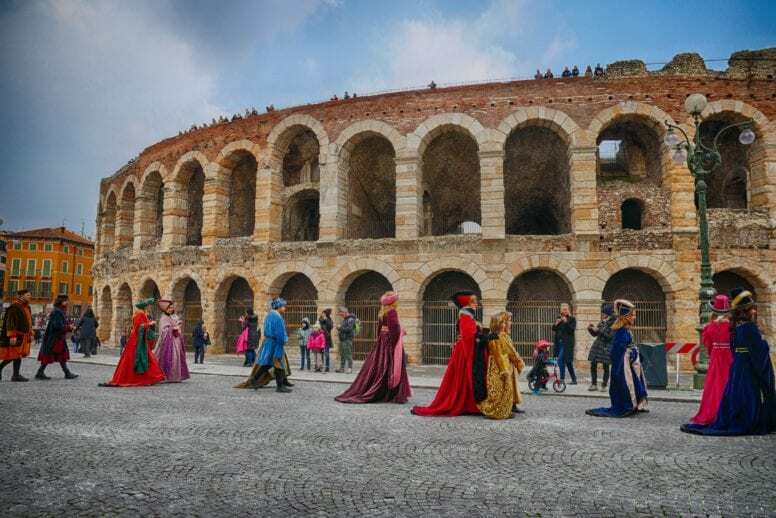 Finally, here are some interesting and unmissable events happening in Verona in 2019. I agree – Verona is often overlooked despite being a gorgeous city. Make sure to spend at least a couple of days wandering around and taking some time to soak in. Verona looks so romantic! I can truly imagine Juliet and Romeo falling in love in such a beautiful city. that is so true! Verona is really romantic. So many tiny alleys, old (but well preserved) buildings and all the atmosphere that you would imagine when thinking of Shakespeare’s masterpiece.